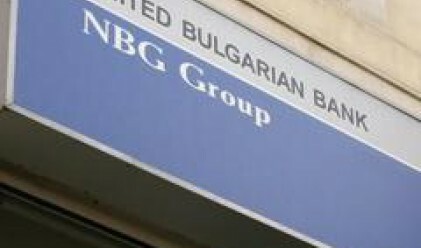 United Bulgarian Bank (UBB) booked 52.454 million leva (26.81 euros) profit for the first quarter of 2007, x3news.com reported. UBB's revenue from interest amounted to 127 mln leva (64.93 mln euros) in the period, while the revenue from fees and commissions totaled 25.3 mln leva (12.93 mln euros). The administrative costs of the bank stood at 36.88 mln leva (18.85 mln euros), while depreciation costs came to 9 mln leva (4.6 mln euros). UBB's total assets stood at 6.52 bln leva (3.33 bln euros) as at March 31, 2008, while the deposits with the bank amounted to 5.1 bln leva (2.6 bln euros). The shareholders of the bank decided at a general meeting that the 142.6 mln leva (72.9 mln euros) net profit for 2006 and the 760,248.51 leva (388,700 euros) retained profit from the sale of long-term assets should be allocated to the Reserves fund. UBB's latest capital raise to 75,964,082 leva (38.8 mln euros) reflects a decision taken at the general shareholders' meeting of the bank held on July 25, 1997. The National Bank of Greece owns 99.9% of UBB's capital. UBB was the third-largest bank in Bulgaria by assets and profit as at the end of 2007.